Death is something, no matter how often it may occur, that we never seem ready for. Dealing with the grief it causes and the burden of responsibility that comes with organizing the funeral, so family and friends can say there official goodbyes, are not things we are taught to do. It is this period of sadness, uncertainty that forms the foundation of Pablo Larraín’s exquisite drama Jackie. Framed around the Life magazine interview that Theodore H. White conducted with Jackie Kennedy after her husband’s assassination, Larraín’s film examines how the tragedy impacted the former First Lady, her children and the White House. 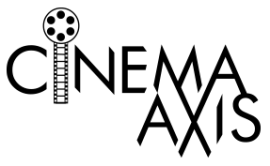 Early on the film establishes that the narrative will be primarily from Jackie’s view point. Despite her sullen demeanor, Jackie (Natalie Portman) sharply instructs the journalist (Billy Crudup) recoding her words that she will dictate what he can or cannot publish in the article. Though she frequently inquires as to how the reporter would have phrased certain tidbits of the information, it is clear that only Jackie can truly understand the depths of the grief she endured. Larraín utilizes this point in an effective way. Unlike many accounts of the Kennedys already captured on film, Larraín is not merely interest in replicating the iconic moments and wardrobes. His attention to detail in the reimagining of events is mesmerizing to look at, but it is the wealth of emotion that the film conveys that makes it a revelation to watch. The film captures Jackie’s inner strength and radiates it like a beacon of light through a swirl of chaos. Natalie Portman’s embodiment of Jackie Kennedy is stunning to say the least. Giving her best performance to date, Portman does not mimic Jackie’s mannerisms, she becomes her. In doing so, the audience cannot help but feel as if they are standing beside the widow in her rawest moment. Portman’s portrayal also helps to magnify just how crucial Jackie’s role was in not only guiding her children through this difficult time, but the country as well. As the eyes of the United States cast down upon her, and the political machine was already revving up to drive on before her husband was even buried, Jackie maintained a level of grace that was inspiring. There is something captivating about watching how Portman and Larraín frame the delicate balancing act of grief, duty, and strength that Jackie Kennedy displayed. 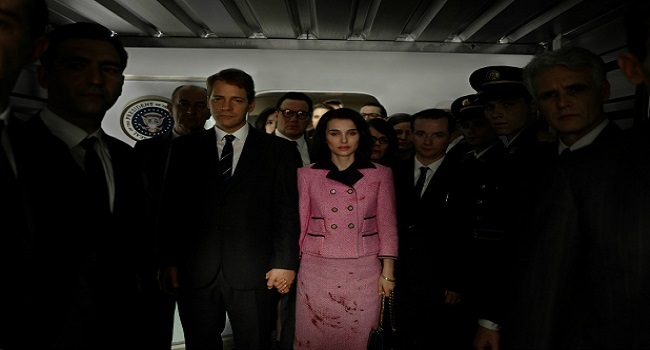 While the film also features the likes of Peter Sarsgaard as Bobby Kennedy and Greta Gerwig as White House social secretary Nancy Tuckerman, this film soars mainly on the delicate artistic dance that Portman and Larraín partake in. In unison every step of the way, they make Jackie an astonishing work that, much like Jackie Kennedy herself, defies convention. Really great review…I’m looking forward to this one. Do you think she’ll be the one to beat come Oscar time? Considering the Academy’s love of rewarding actors who play real life people, I think she is the one to beat. However, don’t count out Ruth Negga (Loving) or Rebecca Hall (Christine) either. They could easily pull of an upset. Agreed! and love the review!! I wish more biopics had this blend of style, substance and genuine emotion.